From cross-body handbags and carry-all totes to clutch bags and weekend luggage, the Parisian brand Lipault has just launched its official online store in South Africa. 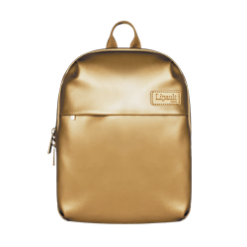 Lipault is designed in Paris and brings colour and playfulness to the fashion accessories space in a sophisticated way. The Lipault woman is effortlessly stylish and changes her handbag style and colour to match every outfit. 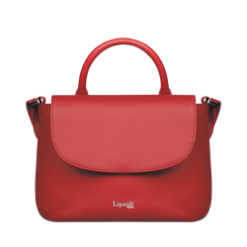 Lipault has a handbag style for every woman, in any mood and in any colour. We have rounded up our top 5 favorite styles that are classic enough never to go out of fashion! This style is perfect for the woman who likes minimal clutter and who keeps only the essentials at her side every day. It is a perfectly versatile piece to take from day to night. You can remove the strap from this bag and carry it as a clutch too. This crossbody bag is made from a soft pebbled leather and is available in 7 different shades, our favorite shade for winter is the Ruby Red! This structured leather handbag is a go-to for the busy women and for those who enjoy a handbag resting in the crook of their arm. 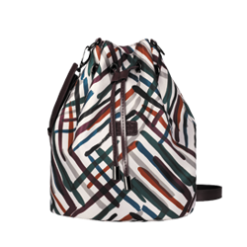 This bag does have a detachable shoulder strap if you prefer wearing it cross-body. It is spacious, easy to get into and ultra chic! We love this bag in our brown Cognac leather. If you’re a mom on the go, a girl boss or just a busy woman, this bag will carry everything you could possibly need. The functionality of this tote bag was top of mind when designing it. There is a zip pouch on the outside of the bag to hold your lipsticks and lady essentials and pouches and zip compartments on the inside for your phone and other bits. 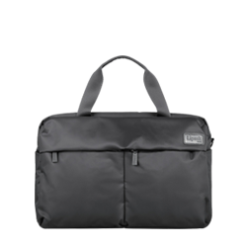 The bag even includes a smart sleeve, that easily allows it to fit over the handle of your luggage when travelling. 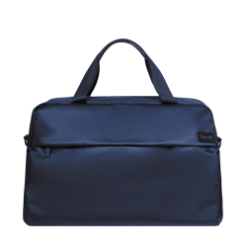 There is enough space to throw in all your daily necessities, your laptop and even a pair of flats for a night out. 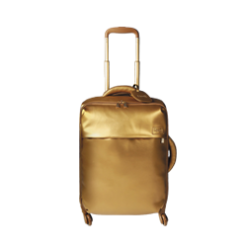 If you’re a fashion lover and prefer something hands-free and want to stand out from the crowd, our Miss Plume Backpack in gold is for you! 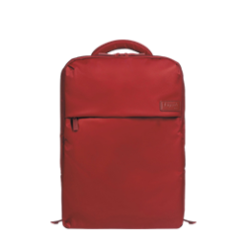 This incredibly comfortable backpack has a large front pocket and top handle if you prefer to hold it in your hand instead of over your shoulders. 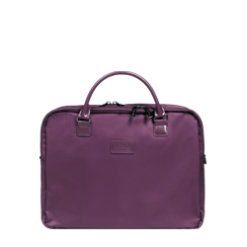 There is enough space to fit a tablet or iPad, chargers and all your usual handbag necessities. 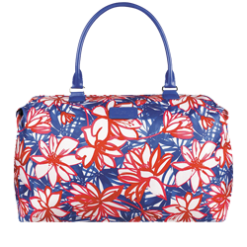 The perfect bag for your perfect trip, we have your Friday getaways covered with our bowling bag styled weekender. 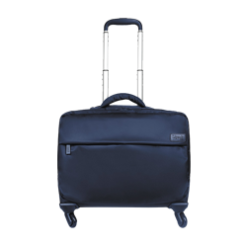 The great part about this bag is that it has a pull-out handle and wheels, allowing you travel easily. If you prefer to carry this over your shoulder, the handle will easily fold way and zip up so no one knows it exists. 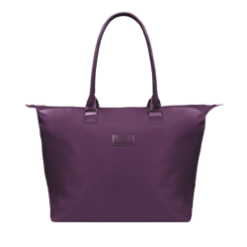 This bag is a soft Nylon and comes in black, navy, purple and ruby! The weekender also comes with a TSA combi padlock, making sure all of your travels are as safe as they can be. A great handbag is an immediate pick me up, no matter how you’re feeling. Investing in styles that are timeless means you will be able to get years of use out of them. Lipault handbags are crafted using quality materials and come with a 2-year warranty that will ensure you get the most out of your purchase. Shop the Lipault range of classic handbags now, on the official South African website! This entry was posted in General, Style. Bookmark the permalink. Project Runway Top 3 Kireshen Chetty Gives us his travel tips! Comments Off on Project Runway Top 3 Kireshen Chetty Gives us his travel tips! Spring Trends! Comments Off on Spring Trends! Be the first to hear about our latest special offers, collections, events and news. © 2019 Lipault. All rights reserved. and get a R300 voucher for your first purchase, sent directly to your mailbox! *Not applicable to sale items.